I have a goal this weekend, I need somewhere to go and wear these lashes the folks at POP Beauty sent me. Are these not adorable? If you’ve been a longtime reader of the Art of Accessories, you may remember my Obamalicious Lashes that I wore to an inauguration party. When these pink lashes showed up at my door I got excited, I haven’t had a pair this wild and fun for a few years. So the weekend goal, wear these. Even if it’s in the house for a few hours to take pictures for the blog, I need to wear these lashes. 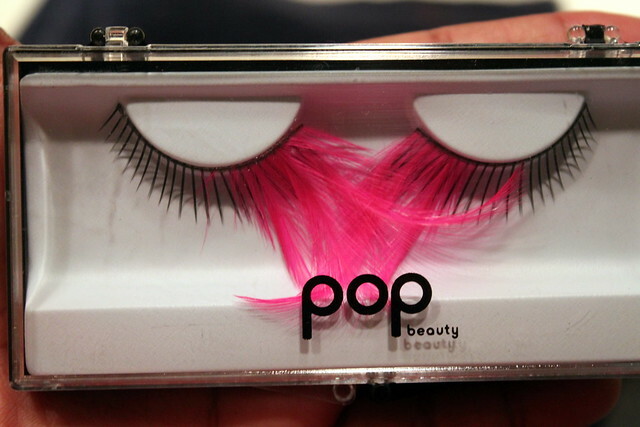 You can also find your own pair of fun lashes on the POP Beauty website. In addition to wearing these lashes, I need to mark a few more items off of my 33 in 33 for 33 list this weekend. And I think I’ll be hopping back on my bike for a ride. What are your weekend plans?